The new version of Assimp is finally out. Assimp, or Open Asset Import Library, is a C++ library which loads various 3D model formats (.3ds, .obj, .x, .dae, .off, .b3d, etc…) and returns them in a common in-memory structure. 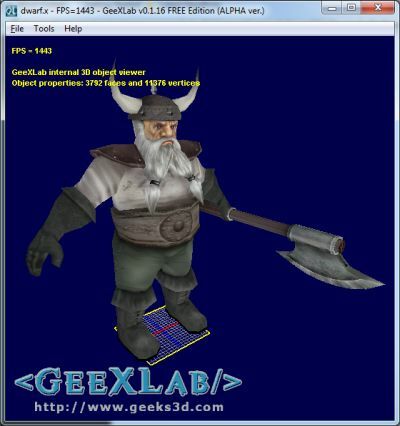 The complete list of supported 3D object formats is available HERE. You can download Assimp 1.1.x HERE.